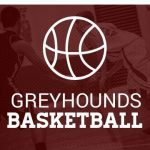 Thursday, January 7, 2016 7:00 PM Williamston High School AWAY 57 Eaton Rapids High School HOME 23 Game Recap On Thursday, January 7th, the JV ‘Hounds lost to Williamston by the score of 23-57. The boys played hard against a big and aggressive defensive team. We will continue to work hard and continue to grow.